I felt the sting of imposter syndrome just as my speaking career was gaining traction. A speaking bureau called to book a keynote. My mind whirled into a frenetic imposter syndrome spiral. And I did. And we went on a remarkable journey together. Sometimes what scares us the most about ourselves, the parts that we wish we could hide away so no one could see, are actually an ironic source of strength and human connection. 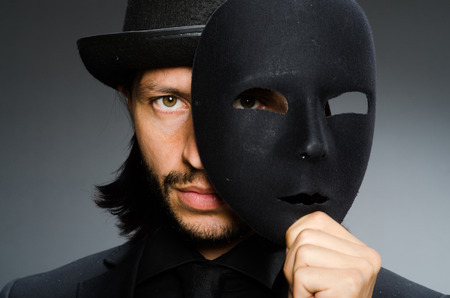 Impostor syndrome describes that feeling of strong self-doubt that you’re a fake, that your success is due more to luck or your ability to fool people than it is due to your work, and it often comes along with the fear of being found out. If you let it, impostor syndrome will tie you in knots, ruin your confidence, and undermine your ability to lead your people and achieve your goals—not to mention screw up your life in many other ways. His point is that your experiences in childhood and earlier life can serve you, help you make good decisions, give you an appreciation for people from all walks of life, and keep you from being judgmental. It would be foolish to leave that treasure behind. But, it would be equally foolhardy not to acknowledge today’s circumstances. That’s intellectually dishonest and dishonors the people who have put their trust in you today. These wise words come from 1999 world champion of public speaking and motivational speaker Craig Valentine. “You’re always too something for someone” gets at the absurdity of it all because once you start looking for inadequacy, you’ll always find a reason you don’t belong. When my friend first started to laugh, I was hurt. How could she laugh at my pain and confusion? But I soon realized the irony of the situation was classically funny. And in truth lies humor, and in humor, connection. It’s hard to judge yourself when you’re laughing at the ruins. One of the most effective tools for dealing with impostor syndrome is simply to focus on the team you serve. They don’t really care where you came from, how you got here, whether you have a big house, small car, good hair, bad hair, or anything else. What they do care about is how you can help them succeed today. It’s nearly impossible to trip over your own insecurities when you focus on serving others. You are not an imposter. You are you. And we need you. What would happen if you could ditch the fear? Take the risk? Tell the truth? And win well?